I absolutely adore hummus! And what's not to love? It's creamy, rich in fiber and some protein and its completely customizable to your tastebuds! 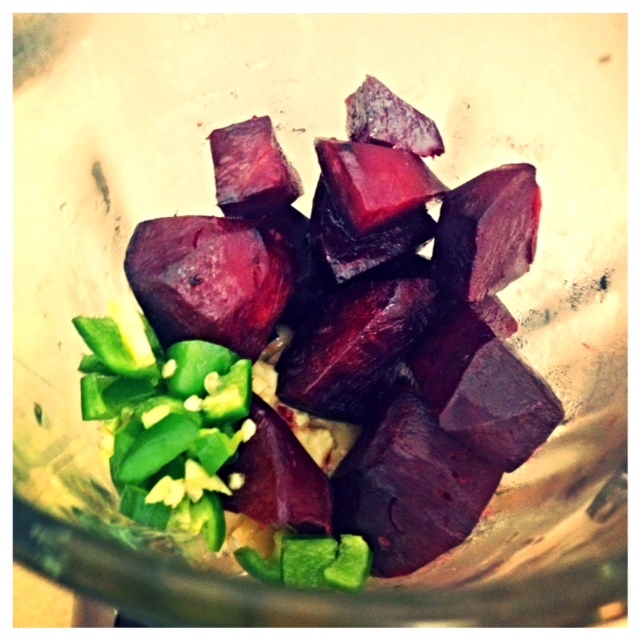 Tonight I made one of my absolute favorites - Red Beet Jalapeño Hummus - and I just know you are going to love it! The red beet is jam packed with amazing natural antioxidants, polyphenol and betalain, that cleanse your cells with their anti-inflammatory and detoxifying properties! The jalapeno pepper, contains a punch of Vitamin C as well as the naturally occurring chemical, capsaicin (this is what gives a pepper its heat! ), which has been shown to kill cancer cells, reduce cellular inflammation, prevent sinus infections and even aid in some gastric issues. , you can't beat it - the sweetness of the beet mixed with the subtle punch of the jalapeño will put an awesome spin on any sandwich, dip tray or salad! Be sure to choose dried organic chickpeas whenever possible. The longer they sit in cans or cartons, the more susceptible they are to losing nutrient potency. I like to buy them in the bulk self-serve section and store them in glass containers in my kitchen until I'm ready to use them (which is pretty often!). So, you'll soak the beans over night, then boil them in water until completely soft. Meanwhile, you should bake your red beets for about 40 minutes at 375*F to soften its texture. You can do this by placing it in a baking dish wrapped up with a little olive oil - to speed up this step, sometime I cube my beets prior to baking. Peel and chop up one clove of garlic. Chop up your jalapeño, seeds removed (the seeds hold most of the heat, so if you are looking for a crazy-spicy spread, you can leave some of the seeds in. I like to leave in just a couple stragglers, but if you're worried about spiciness or are making for your kids, I recommend removing them all. 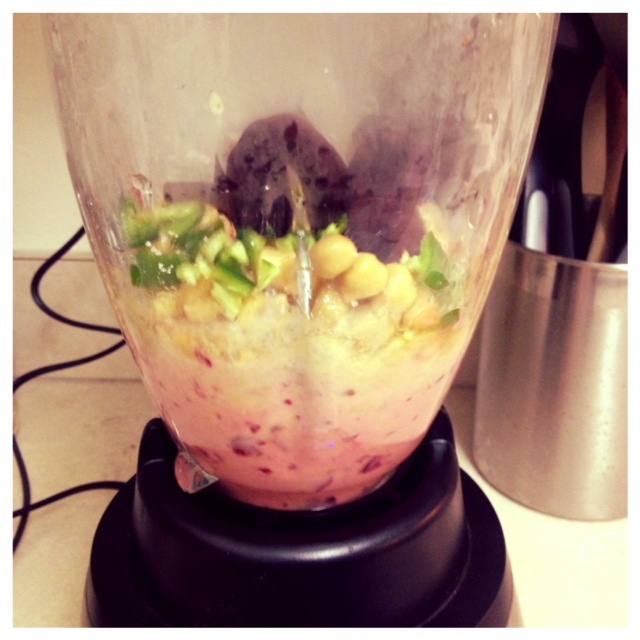 Place the chickpeas, red beets, jalapeño, garlic and tahini in the blender with a little organic olive oil. Blend baby blend - look at those pigments! I love watching as the beets are ground up into the chickpeas, the beautiful reds and pinks - THAT is "natural coloring!!!". Once it's pretty well blended, add in your lemon juice and sea salt to taste. Give it another spin - and presto-chango-baby! 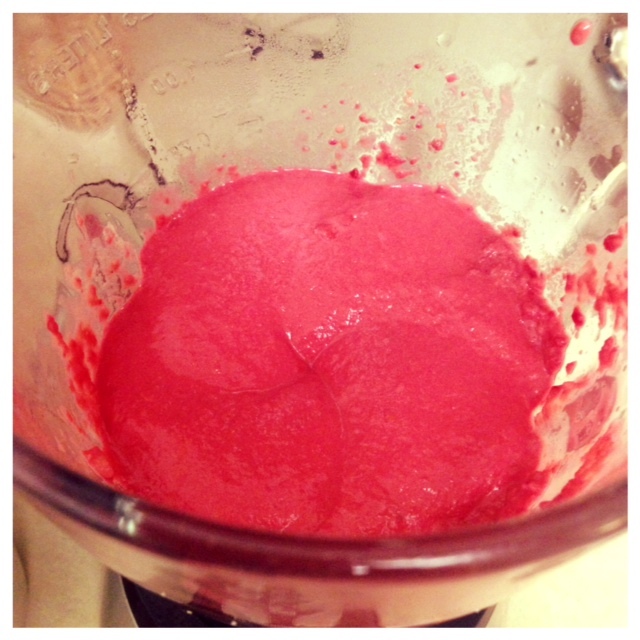 What you're left with is the prettiest pink mix of nutrient-, fiber-, antioxidant- rich Red Beet Jalapeño Hummus! Your typical store-bought hummus is filled with sodium, added coloring, and dangerous preservatives. Lucky for us though - we know how easy ( and cost effective!) it is to make our own! 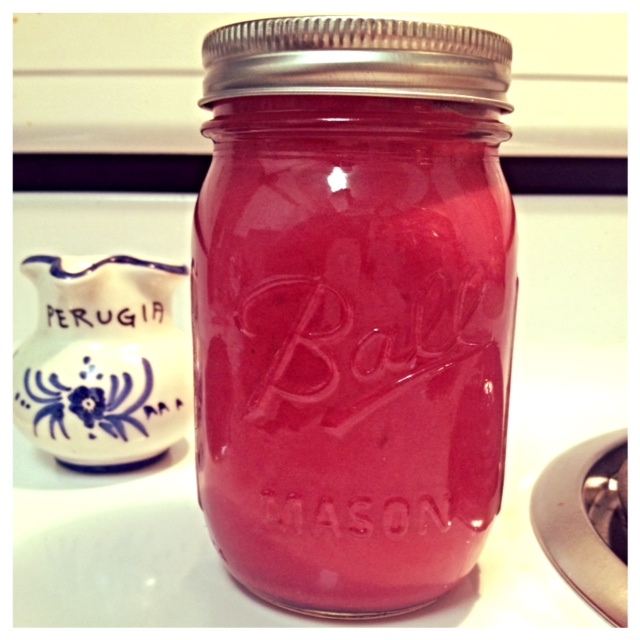 Store in glass jars or containers and you've got a delicious, healthful and dare I say gorgeous snack! Slap a bow on a mason jar and bring your new creation as a hostess gift and you'll be the hit of the party - I guarantee it! Lesson Learned: Neither color nor flavor should ever be chemically induced - feed your body beautiful colors and flavors of nature and it will thank you tenfold. 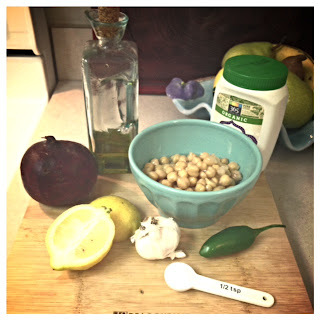 Share your favorite hummus recipes below!